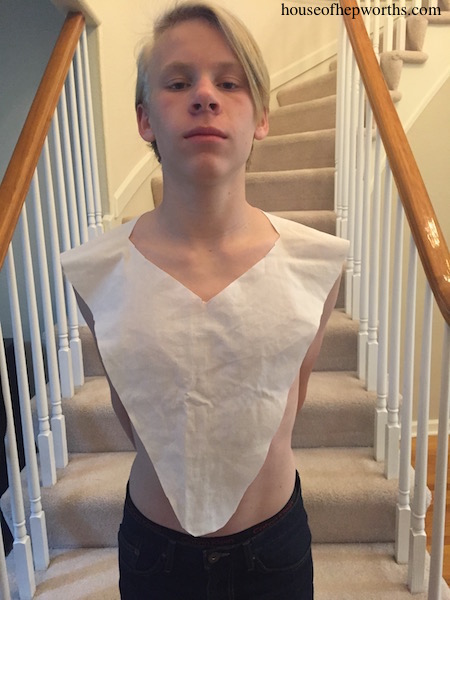 In this post I showed you guys how I created the loin cloth (skirt) and belt for the costume. 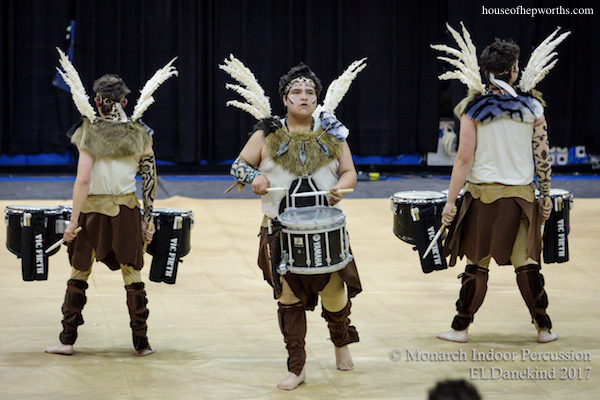 Today I’m here to wrap up this Indoor Drumline PRIMAL series with a play-by-play on all the furs the kids wore. The pit kids (the ones in the front who don’t march but instead play the marimbas, vibes, rack, keyboard, and guitars), all wore a basic fur slipped over their head, while the battery (the kids that march a bass drum, snare, or quad drum), wore furs that were actually attached to their harness. 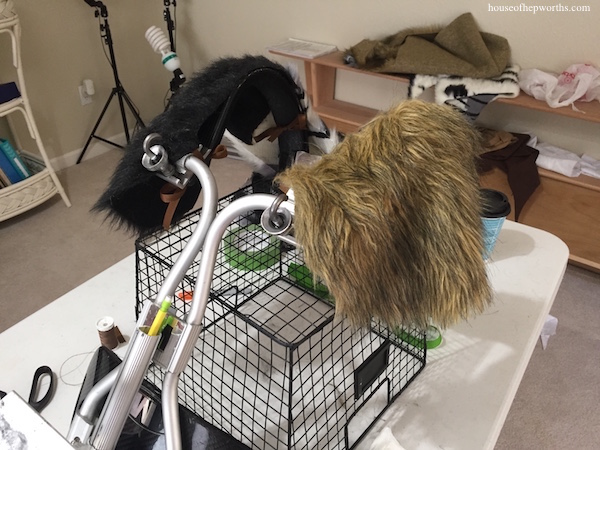 When the harness was removed, the fur stayed on the harness. These furs attached to the bass drum harness. Because bass drums hang so high on the kids chests, these furs are only 3 sided; they cover either shoulder plus the back. There’s no fur on the chest. They consist of 3 separate pieces of fur, hand stitched together to create one “U-shaped” piece. 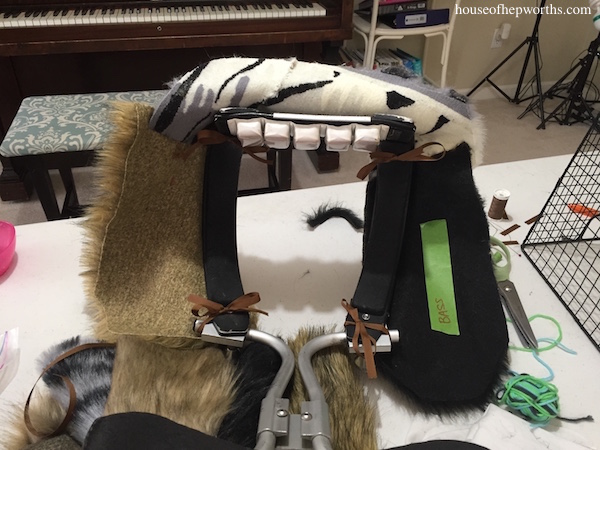 These bassline furs are attached around the harness using some 3/8″ grosgrain ribbon and tied into bows. The grosgrain is hand-stitched onto the underside of the fur. 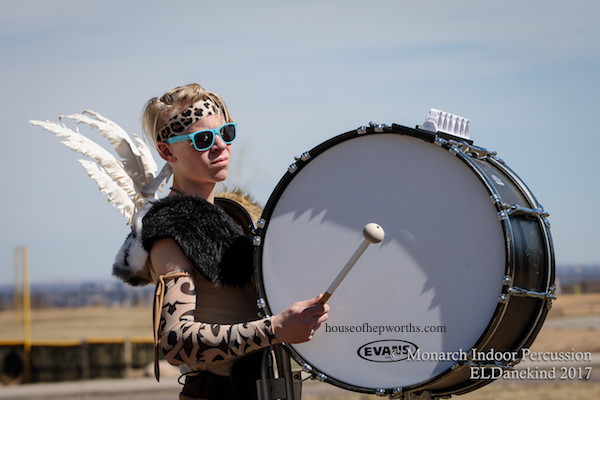 Here’s my son wearing the final bass drum fur. We were all crazy excited to see how they came together. Next up, the frontline furs. 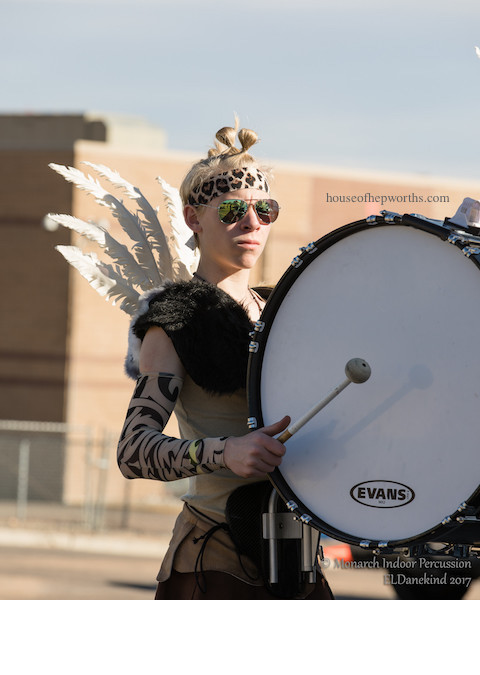 These furs were for the snare drums and the tenor drums (quads). 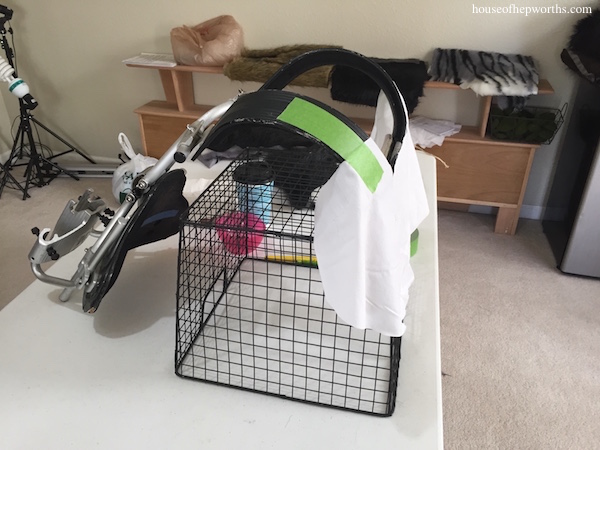 These furs cover all four sides of the harness; the front, either shoulder, and the back. They are made from four different pieces of fur. 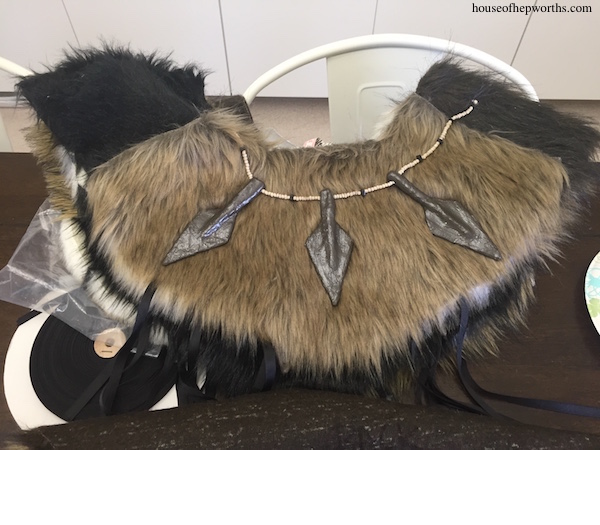 We opted to make them from multiple pieces of fur so we could mix and match the pieces for a more authentic look. The pattern for these furs was more of a donut shape. 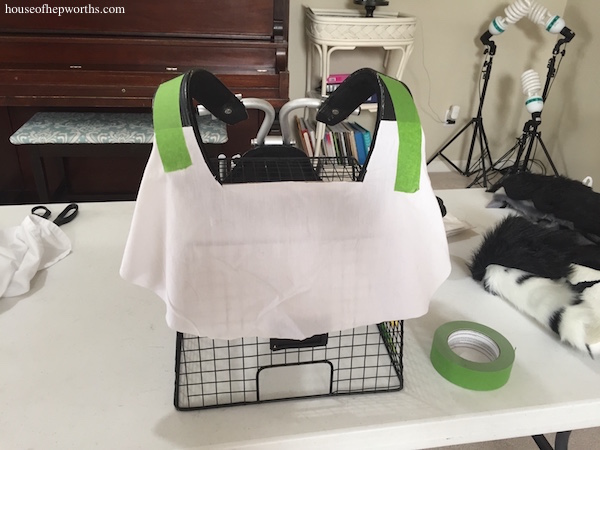 To create the pattern I cut individual pieces of fabric and attached them to the harness, then combined all the pieces with pins to create a final pattern. 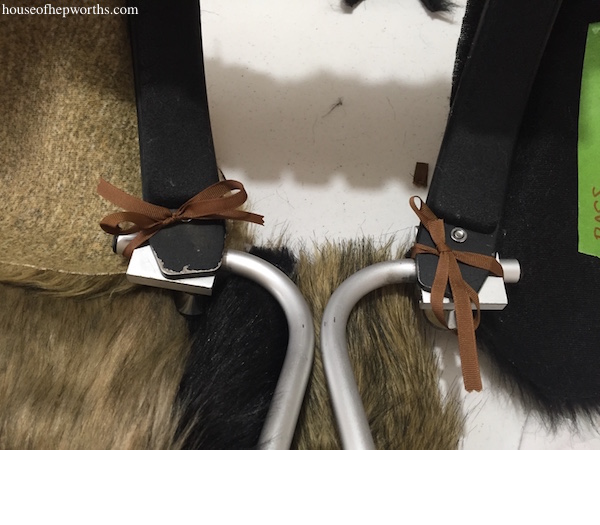 The front line furs were attached to the harness the same way the battery furs were – with 3/8″ grosgrain tied into bows around the harness. Each of the frontline furs (five total) had hand-made spears on them. The spears were made using plaster cloth and cardboard. 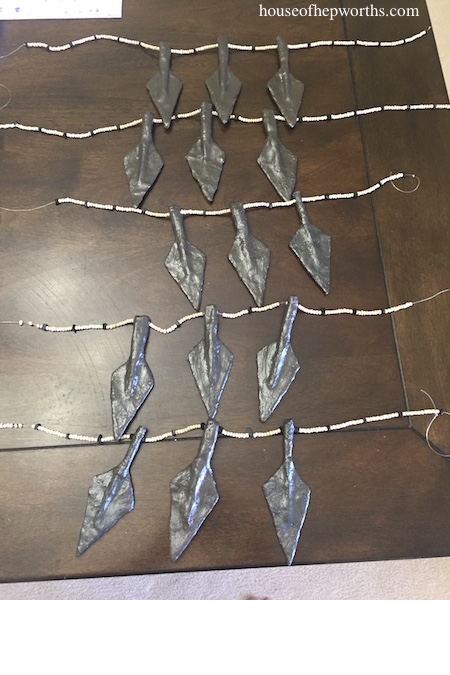 I did not make these awesome spears – they were made by another talented mom in the group. 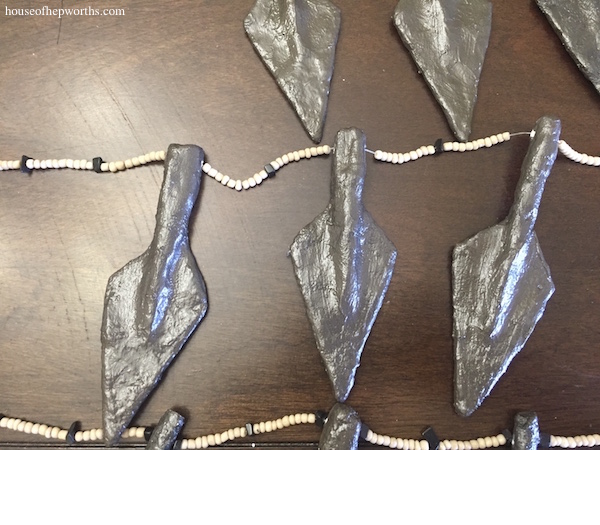 The spears were threaded onto stretchy bead line with other coordinating beads. It was a group effort for sure. 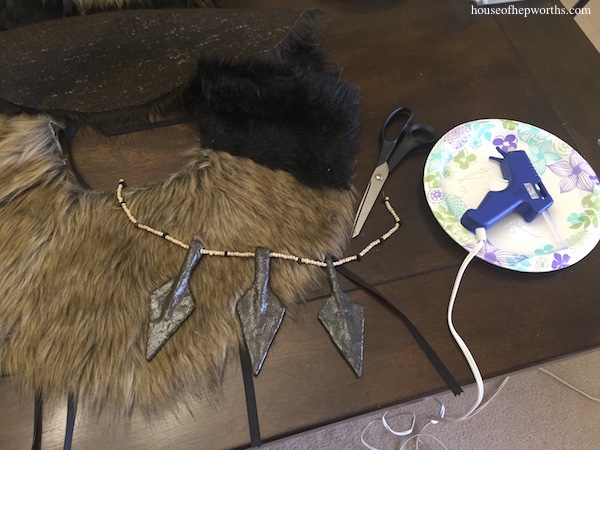 After all the spear “necklaces” were made, I attached them to the furs using dabs of hot glue. Once the hot glue was dry I reinforced them with a few stitches of thread. 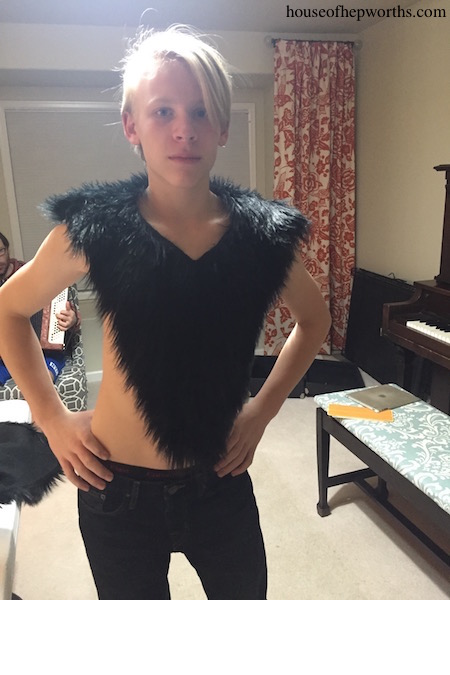 Here are a few boys wearing the final fur. I just love the added touch with the spears. And finally, for the 3rd type of fur I created of the show, the pit fur. Each of the 12 kids in the pit wore a matching fur in a variety of colors. 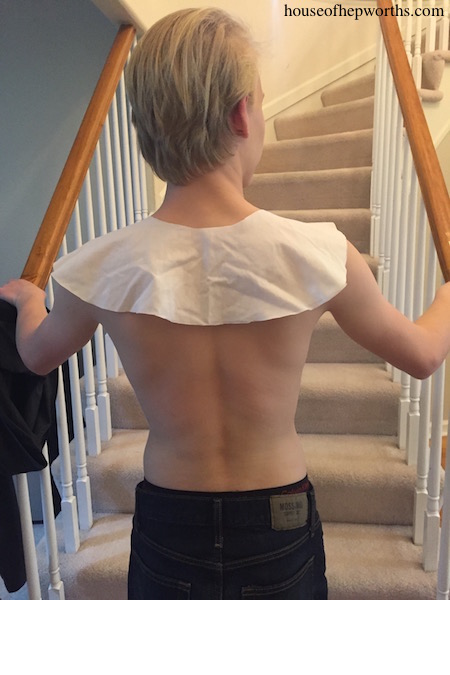 All the kids measurements were taken, shoulder to shoulder, and neck to bellybutton, and each fur was custom sized for each kid. To come up with this idea, another mom and I brainstormed on a sheet of paper exactly what we had in mind. Simple, but detailed was our goal. 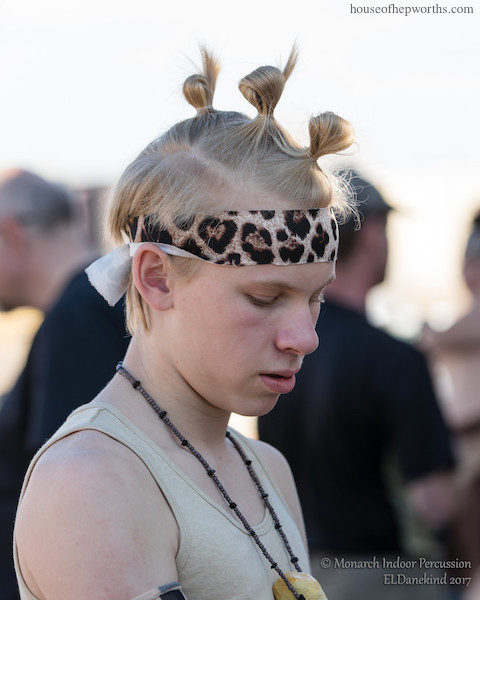 We decided on a single neck fur combined with a thick pile of beaded tribal necklaces. 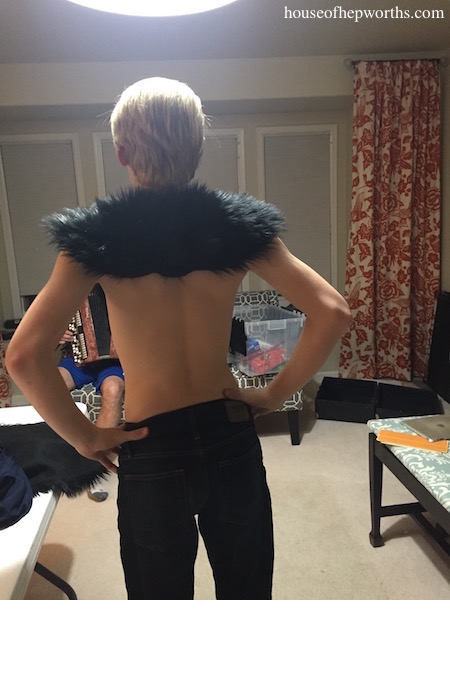 This was by far the most simple of all the furs to make. 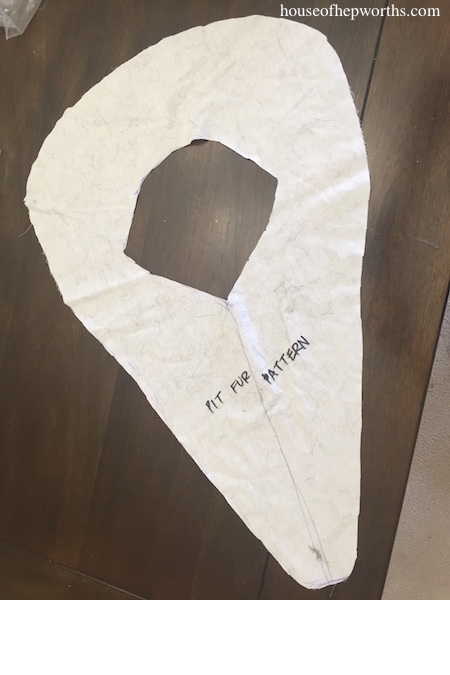 I simply created a pattern using one piece of fabric. 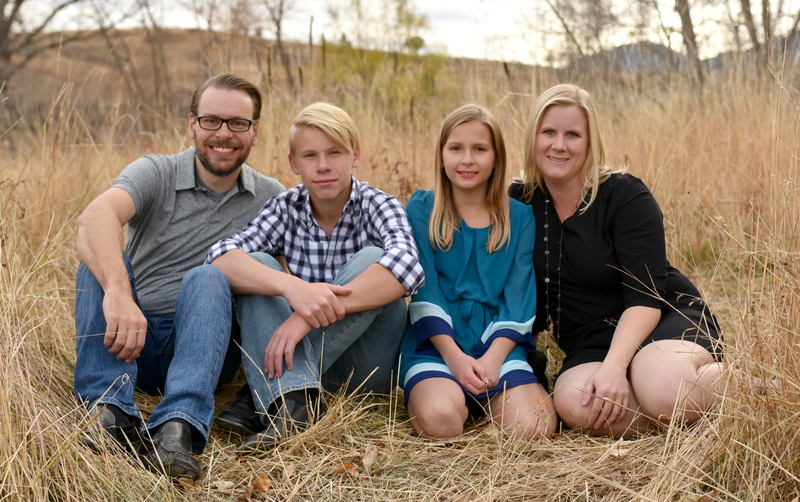 My son was my guinea pig. 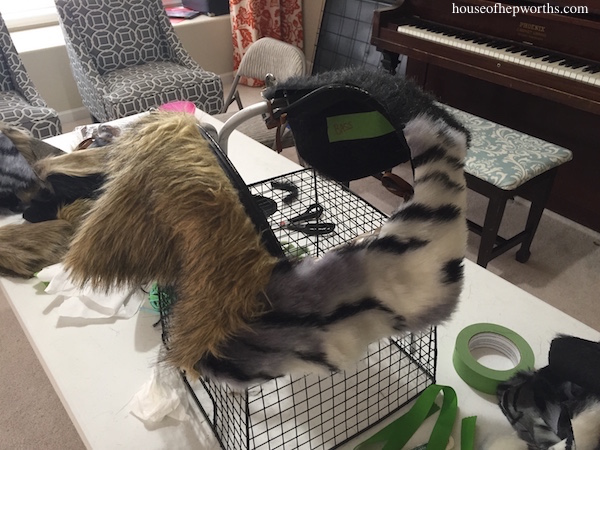 Once I had a pattern, I tweaked each fur as I cut it out to match the measurements of each kid. 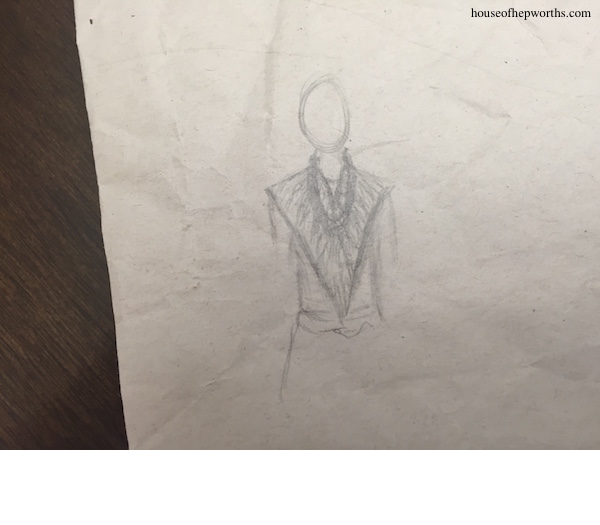 Paired with the necklaces, the fur/necklace combo turned out exactly how we had imagined. I’d be amiss to not mention the feathers at all. They were all created by a very talented mom in our group. She hand-made each feather, and came up with a very creative way of attaching them to the harness. 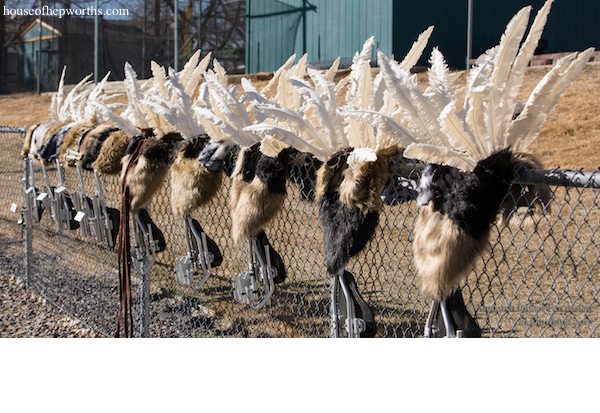 They were attached to the harness with zip ties, and then the furs were placed over and around the feathers. 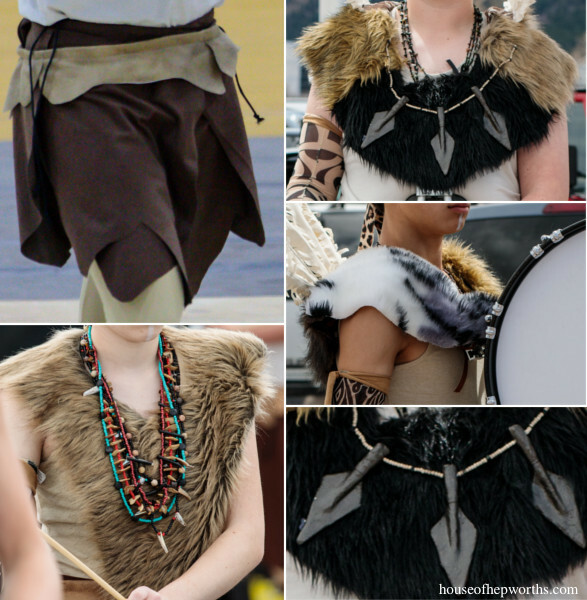 The combo of feathers, furs, and spears made these harnesses really stand out. Well, there you have it! 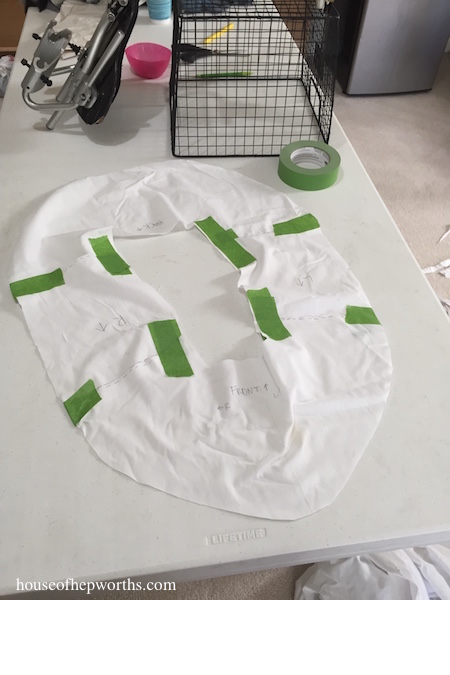 The inside scoop on creating all the furs worn for the Indoor Percussion show. Our kids all had a blast this season. Winning first in state was the icing on the cake. We look forward to next years show! 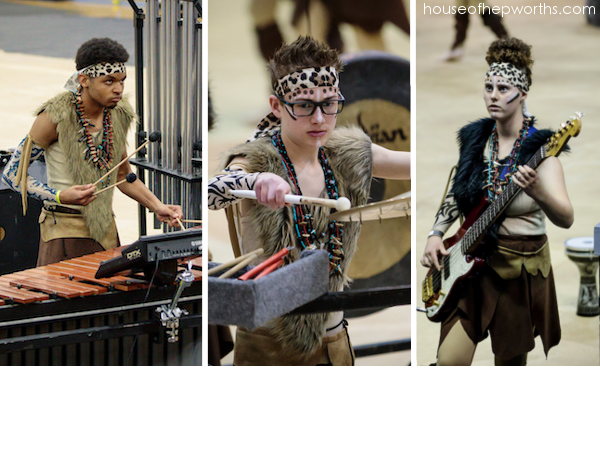 Read all about our Indoor Percussion show, PRIMAL here. 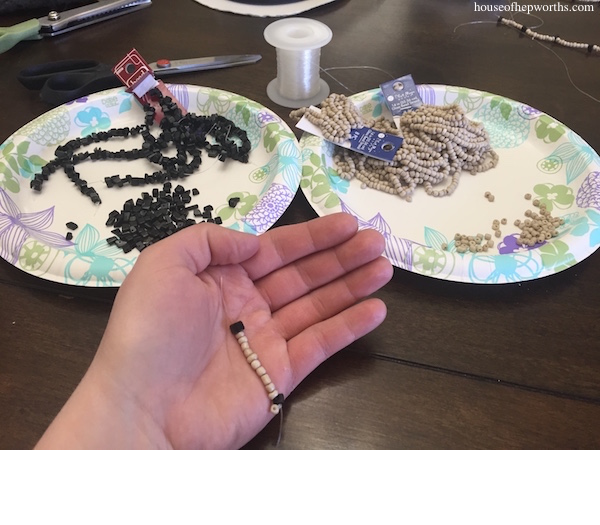 Learn about making the loin cloth skirts and coordinating leather belts here. I have never seen or heard of anything like this! Which state are you in?